Hey everyone! My name is Trever and I am a new volunteer here at Guias Unidos. I met Jeff and Kate as an SCA intern in 2015 at Theodore Roosevelt National Park and I returned to THRO for my first official NPS gig the following summer. I spent the summer of 2017 working as a Ranger in Kings Canyon National Park in California (pictured above). 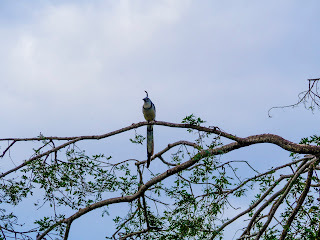 This is my first ever blog post, but over the next few months I want to explain what I am doing for Guias Unidos as well as some of the everyday life here in Nicaragua. 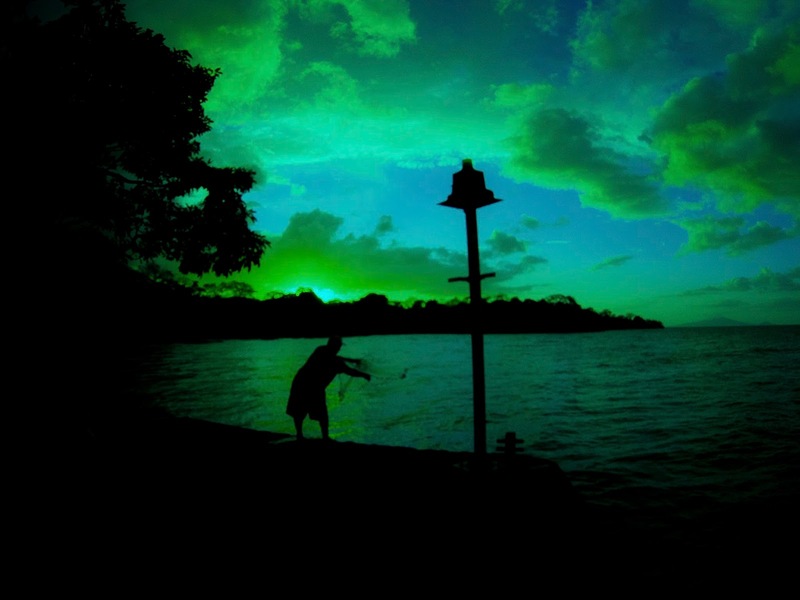 For those of you who are new, Ometepe Island is the frontline of our Guias Unidos work. 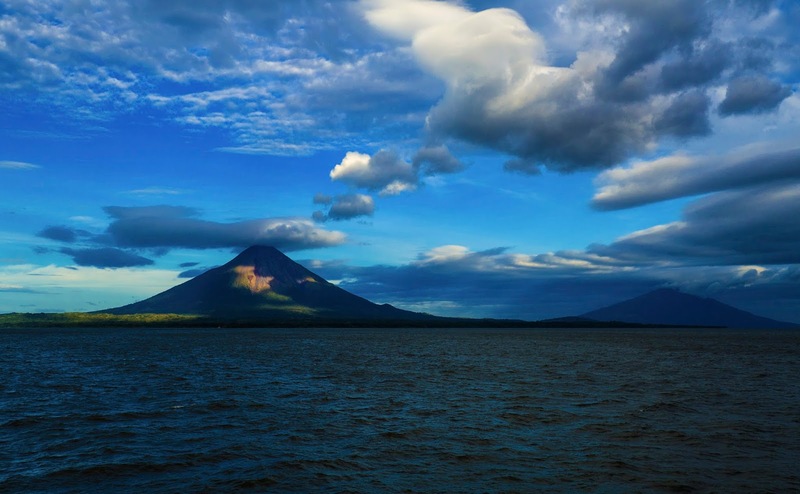 Ometepe is located inside of the large Lake Nicaragua and is comprised of two different volcanos connected by a thin strip of land called an isthmus. 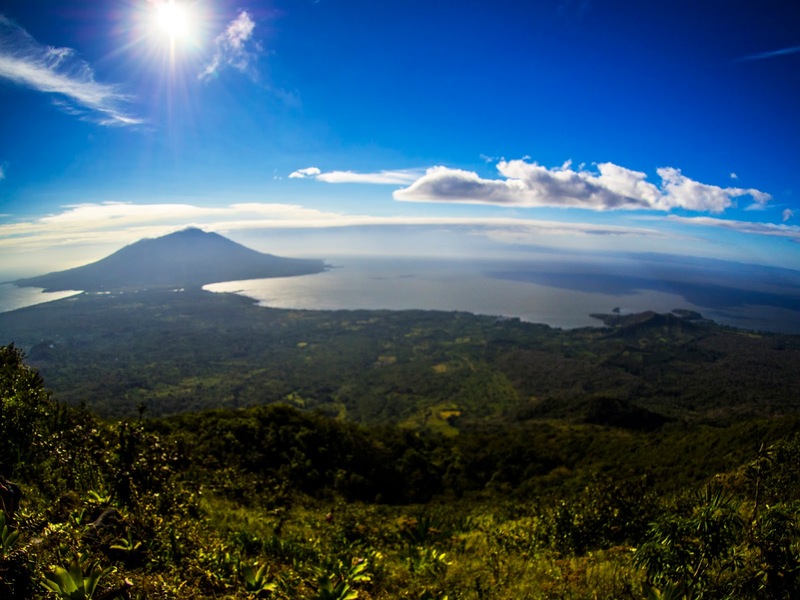 The volcano on the left, Conception, is still active and Maderas to the right is a dormant volcano. The two make life on the island very interesting! This photo was taken from a ferry on its way to Moyogolpa, the only port currently active on the Island. My main goals here are to help with the education of the local guides and to work on diffrent trail projects around the island. 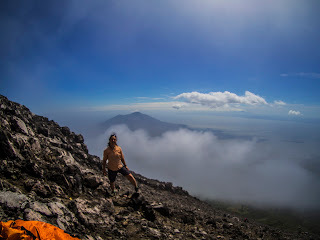 The Guias Unidos work takes us all over the Island, even to the top of the volcanoes! The picture here was taken during the hike up Conception. Which is a very steep scramble up with a wonderful views of Maderas along the way. 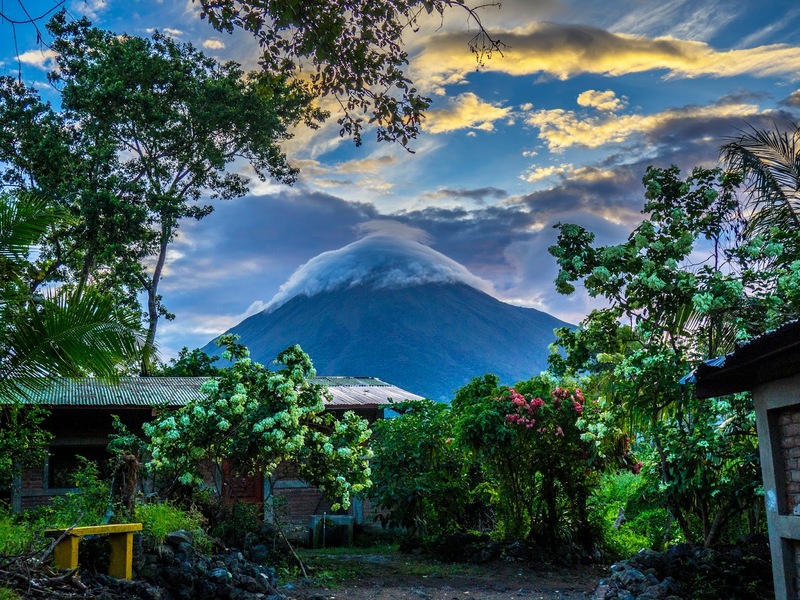 The plant life on Conception is much less forested than Maderas, which is covered with trees all the way up, and into the volcano. So this view is only one way. The view at the top of Conception are awesome but also a little scary. Here Chelsea poses at the top of Conception with a view of Maderas in the background. The hike back down the volcano seemed longer than I remembered it being on the way up but it did have a neat surprise! A little switch in the trails on the way down leads to a kilometer of sand that allows you to skip/jump/ski down the side of the mountain. 10/10 I would definitely recommend the going down the sand trail. 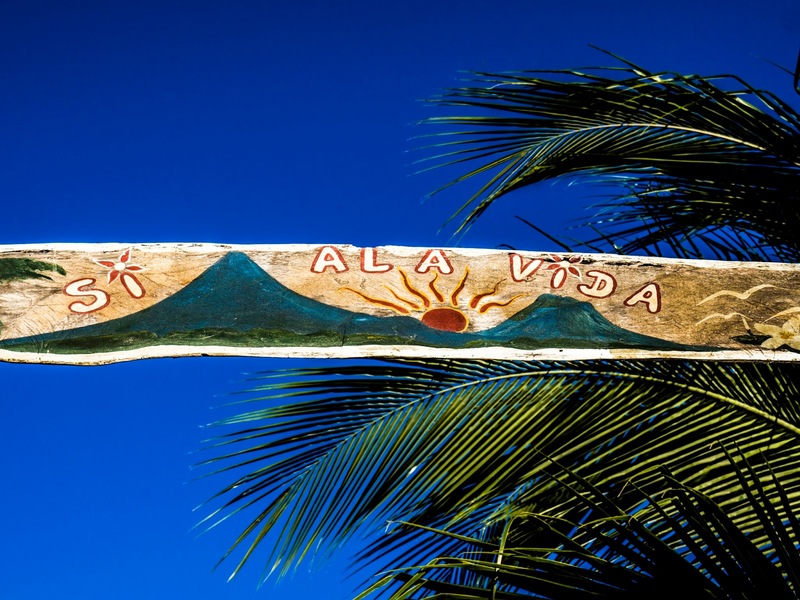 Si a la Vida in English means Yes to Life. It’s an organization that works with local children and runs a farm that I as well as some of the other volunteers stay at. 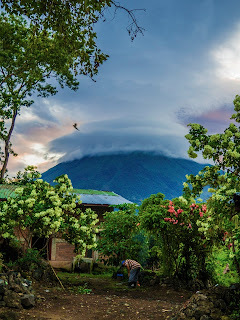 It has puppies, a kitchen, volcanic views and a cat, that we named Senior Gato, or for our English speakers: Mr. Cat. The farm is cold showers only though. Most of the land at the farm is used to grow plantains, which are a very starchy relative of the banana. So we got more plantains than we know what to do with. 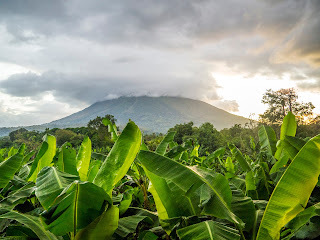 Here we get a view of conception volcano over the farms plantain field. The farm also has chickens and cattle occasionally running about. This photo is a little bit of a sneak peek into the daily life here at the farm. Enrique, one of the farm workers, clears brush while a Magpie Jay fly’s overhead. 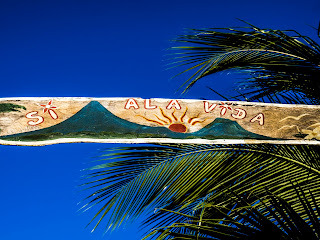 It’s generally calm and pretty here at Si a la Vida. 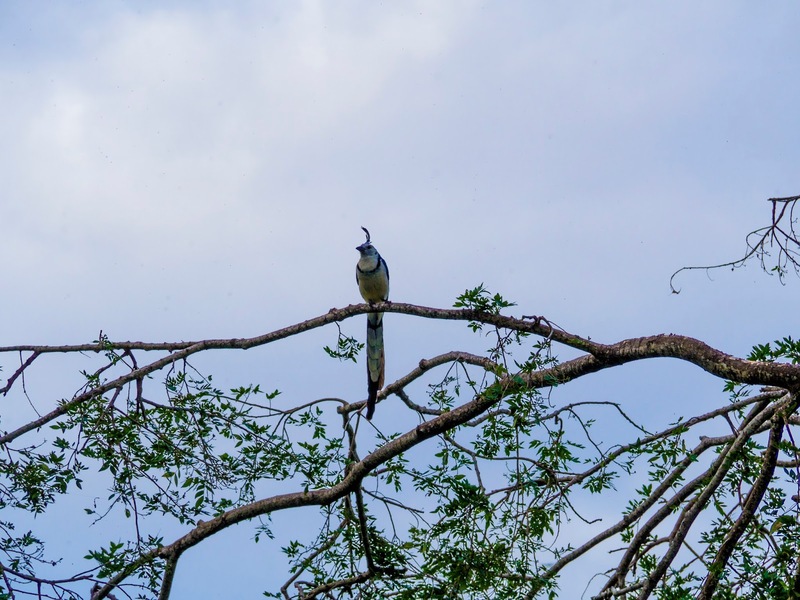 · Speaking of Magpie Jays they are all over Ometepe and they are totally gorgeous. The locals treat them like a nuisance. The problems they have given me so far is that they seem to be a little camera shy. 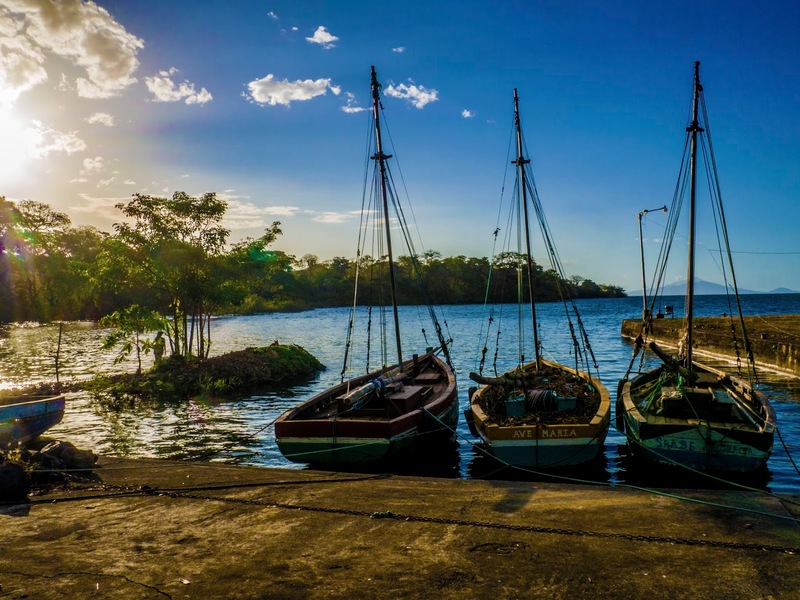 About a kilometer and a half from the farm is the Altagracia port. The ferries that used to bring people to the port stopped coming several years ago when lake levels were to low. The port still gets some usage by fishing boats and seems to be a hangout for some of the locals. Here a man fishes at the pier during the sunset. We didn’t see him get anything big but he kept going for the whole hour that we were there. 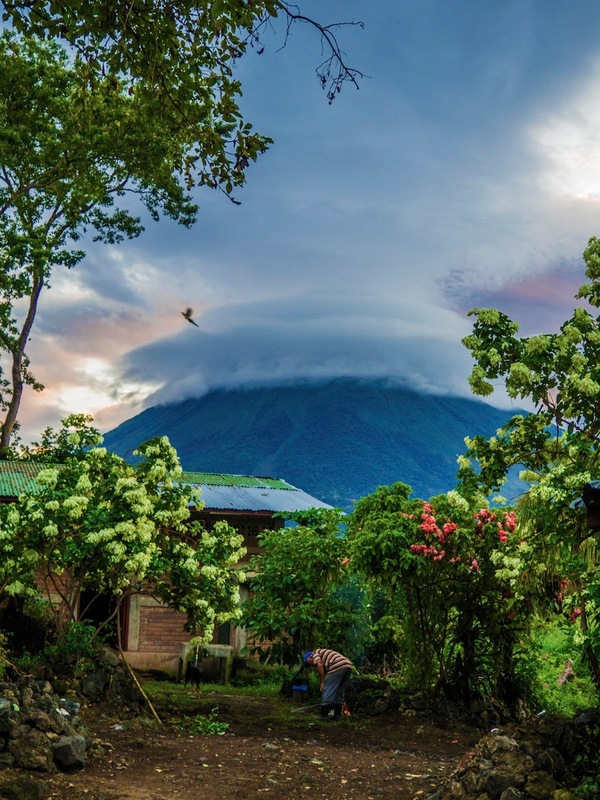 · I have been here for almost 2 months now and I have been pleasantly surprised by how welcoming most of the Nicaraguan people have been. This place offers so much to do, not only with working with the environmental aspects, but with the people as well. I am looking forward to my next few months here on Ometepe and the work it will bring. One thing is for sure though, this view will never get old.